For anybody who has been sitting back and observing Google for some time (with many questions in their head), with the beta release of Google Plus, things would be falling in line now. It all looks like a part of a long time strategy that Google had devised around an year back or so. All of us who are a part of the web 2.0 today would know the humble beginning that google had, how they demystified the web and made it a lot easier to browse and find data(yes the google search), how they went on to build a suit of applications around search and positioned themselves well in the world of web. Yes Google had positioned itself as the Good guy we all loved to go to when we felt terrified by the bad Guy - Microsoft (Because he made us pay for everything that he gave us, whereas Google gave it all free). It was merry time and Google was happy. Then came a swarm of good guys. Zoho gave the basic set off Office Apps on web for free, twitter became popular as another good guy as it promoted free speech, Zuckerberg bought our social lives online giving a thumping blow to the Google's own Orkut. Google that was seen as THE GOOD GUY, became one among the good guys. In addition to this Google landed itself on the wrong side of many antitrust cases. Dut to this not only did google had to differentiate itself from other good guys, it also had to prove that it was not bad after all. While all this was happening , the web world was slowly moving from Web 2.0 to Web 2.5 which I call as the era of social networking. Google was loosing the ground because the web world had moved on from paradigm of SEARCH - which was its strength to the paradigm of SOCIAL NETWORKING - at which it had miserably failed. People went to a search site when they didn't know something whereas they went to a social networking site when they didn't know what to do. And the latter reason is a more compelling than the former. Search is like knowing something but social networking is like coming home and socialising. Given the restrains of socialising in current day world and socialising being the basic trait of human beings, social networking did catch on. We can argue that the quest for knowledge is also a basic trait of human beings(but that was for the en-lighted ones, and for lesser mortal socialising was sufficient ;) ), and that is exactly what Facebook did well. Instead of you going in search of the information, it brought the information right into your profile. And what made it more convincing was that it was recommended by your friends. So Facebook which started just as social networking site, started spreading to the whole web in the form of an ubiquitous like button, which anybody could embed into theirs site with a single line of code. When any of your friends clicked on a like button anywhere on the web it started coming on your facebook feeds. Instead of you going in search of information, information was delivered at your doorstep. As facebook in specific and social networking in general started taking the centre stage of web, google was being criticised for not being aggressive enough on the social networking from, after the slow death of their Orkut and debacle of buzz. Google which had got it right in so many different fronts, seemed to have failed miserably at social networking. Many had written off google regarding this. But looks like (not the facebook like) Google has just got third time lucky this time. And may be google is lucky enough to get lucky at the right time. Though Google Plus is still in its nascent stage, it has already gathered enough user interest and seems to a straight away hit. 1. Plus one introduced four months before Google Plus : Though it seemed like a lame response to facebook's Like button and many called it "too little and too late", google got it right. It was like testing the waters for before bringing on Google Plus. However even Plus One on its own had one main advantage over Like button. To like something people had visit a site and then like it. But with google's Plus One, people could Plus one something on search without even going to the site. So Plus one could generate enough activity even before the websites embraced them completely. 2. Google Plus was a big surprise : Though google was continuously being criticised for not pursuing the social networking path more aggressively, it had always maintained its magical silence. There was no news or even a speculation that google has been working on something social until Google Plus was released. So the surprise factor and initial interest around Google Plus went in favour of Google. The limited Google Plus invitations made it more exclusive and added to the fervor. 3. The Ubercool UI and UX : With google mail and other apps google gave a boost to the AJAX enabled functionality and made the UI more intuitive. One thing I loved the most was, google never gave me a "could not connect to host" on gmail when the net connection was lost in between. And Ajax status updates were always much better than the bulky page refreshes. Pushing the mouse-over functionalities and hence reducing the number of clicks, reducing time and making it more intuitive. A fresh life to drag and drop functionality. Isn't it more easier to drag drop your friends into circles. Did I just mention Circles? Yes circles will be the next big thing. Isn't the web full of squares and rectangles. Well we have some rounded corners . Though it is better than the sharp edged squares and rectangles., it is no match to the aesthetic circles. With Google+ the time for circles on web has arrived. Remember the quote "Life goes in circles"
4. Its all about privacy Dear : Privacy Matters. Yes it does. With so many social networking sites around and most of them with the same feature sets, I have always maintained that "He who gets his privacy settings right, gets to rule the social networking market". Google Plus got it right this time. The drag & drop functionality with circles has made privacy settings in Google+ a breeze after the torture that Facebook subjected us to. 5. The contract with Twitter ends : The updates from twitter on Google search pages stopped showing the day(or around that), when Google+ was introduced. If we think of it as just as coincidence, we are being too optimistic. Very soon google might probably show the public updates from the Google Plus user profiles. Google must just make sure that privacy concerns are handled well and users have full information that their updates will be available on the net for all. 6. Google+ brings the best of twitter and facebook : This has been the most popular reason and is being discussed heavily on the net. But let me tell you how. Facebook is a closed community : You raise a friend request and they should accept it and only then their updates are visible to you. Basically Google identified that people like to share different things with different people. And made this selective sharing possible in a user-friendly way. 8. Google author tag and Google profile : Google has announced the support of the authorship markup, enabling content sites to help identify their authors on the site and across the web. Read more here. Well Go..ogle is trying to replace the techcrunch profile linking on the sites to Google profiles. And since this Google profile is now same as the Google+ profile, it means more activity on Google+ . Google profile has been around for long, but few updated and very few checked others profiles. Now with Google+ more people will update their profiles, even if they don't use Google+ because they know that others will view their profile and many may even follow it (I mean add to their circles). 9. Google+ will be the new DNA for Google : If not for any other reason, this should be the reason Google should invest more resources and money in Google+. 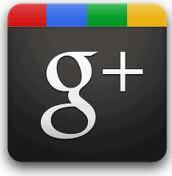 The more popular Google+ becomes, more the number of users will start using other Google Apps.